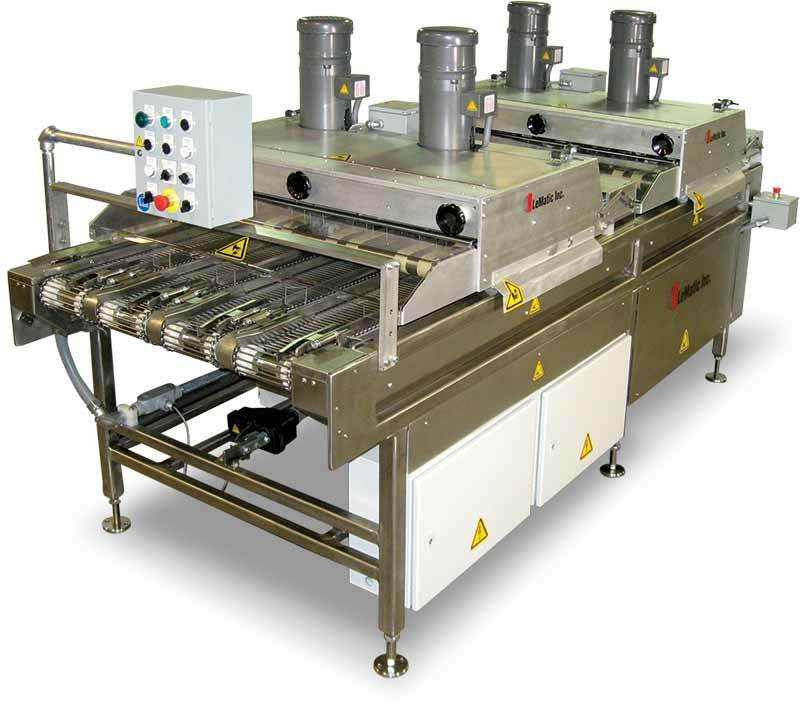 As the demand for specialty bread grows, so does LeMatic’s line of quality slicers and slicing systems. 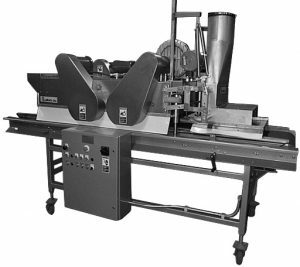 Just as we’ve set the standard for soft roll slicing since 1973, LeMatic continues to provide dependable slicing solutions worldwide for a variety of specialty and artisan bread products. Tried and True. 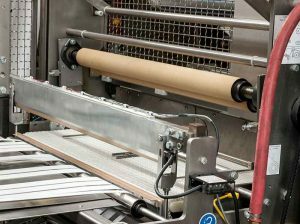 Ever since company founder Dale LeCrone Sr. pioneered modern bulk packaging techniques in 1973, LeMatic has set the standard for quality bulk packers, baggers, sealers and product handling equipment in the baking industry. Got Baskets? LeMatic Can Handle Them! 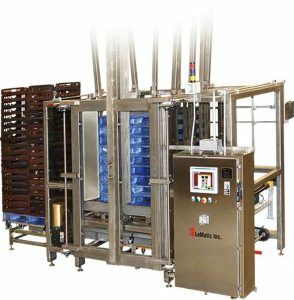 Whether you are looking to stack, un-stack, or load your baskets, LeMatic has a machine to economically meet your automation needs. A Custom Solution For Every Need! Our engineering and R&D departments work together to develop designs to fulfill needs both common and uncommon. 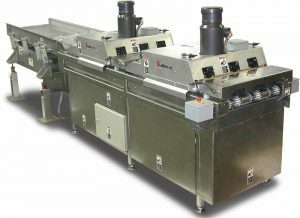 LeMatic Dough Imprinters produce clear impressions on your bun or roll products. Efficient design and construction yield an economical and easy-to-use Imprinter that will fit your existing Moulder Table. LeMatic and Newsmith have formed an alliance to provide customers world wide with an even greater depth of product lines, along with the same quality and service they have depended on for decades. As part of LeMatic’s on-going commiment to support for the life of your machine, we are pleased to present these important upgrades that will increase efficiency and your bottom line! 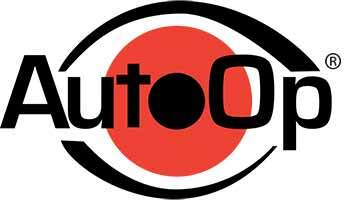 AutoOp® Robotics. 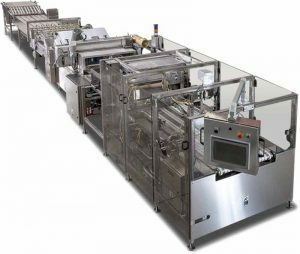 The Automated Addition to Your Infeed & Packaging Line That Pays You Benefits By Freeing Up Valuable Employee Time! 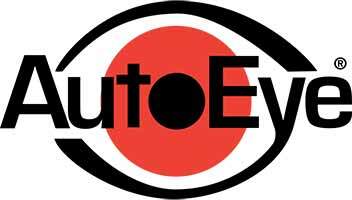 Monitor, Evaluate, & Respond to Real-Time Conditions with “Adaptive Intelligence”. LeMatic’s ground breaking line of vision products can be tailored to ensure quality, collect product data, and monitor critical points throughout the production process. LeMatic now offers the services of our new Mitsubishi MWX4-612 Waterjet machine. Join the list of satisfied customers who are benefiting from LeMatic Waterjet cutting services.